In this post we’ll outline why you should manage your Cratejoy inventory with inFlow Cloud’s dedicated tools. If you’re not familiar with Cratejoy, it’s an e-commerce platform and marketplace that’s dedicated to subscription box businesses of all kinds. One big advantage of selling subscription boxes on Cratejoy is that you have one less thing to explain — customers who browse the site already expect to pay a subscription in return for goods and services. Cratejoy was built around the concept of recurring payments and services, so it’s easy to handle different subscription terms (ex. month to month or prepaying for three, six, or twelve months). Payments are processed through Stripe, which is the same payment service we trust and use for inFlow Cloud payments. Finally, Cratejoy offers flexible options for how to sell on their platform. You can sell on their marketplace while keeping your existing website, leverage just their checkout experience specifically, or go all in and host your website with them. Or choose anything in between! 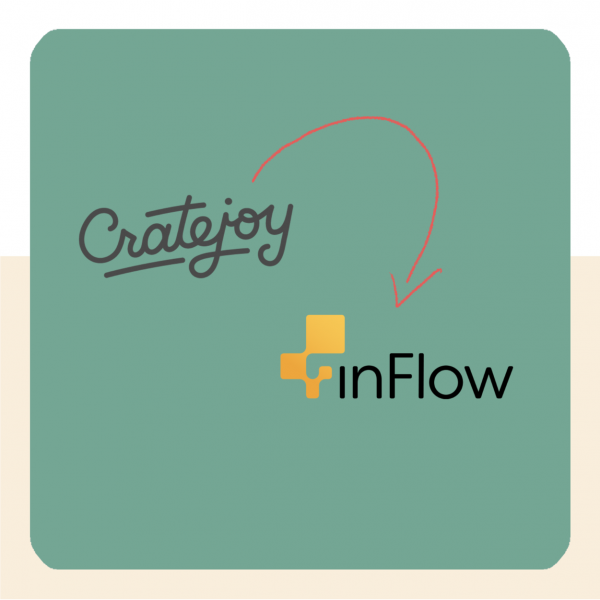 For these reasons and more, our team wanted to make the Cratejoy experience even better by adding inFlow to the mix. Cratejoy can tell you how much of a particular product you can still ship, but it isn’t designed to give you the full story of the products going in and out of your business. The bill of materials and work orders in inFlow Cloud give you insight into exactly how much each subscription box is worth to your business — right down to the components that are in each box. inFlow Cloud also offers a complete cost history that shows you whether the cost for a box has changed over time. This cost history arms your subscription box business with the knowledge to change pricing or the contents of a particular box, so you can be sure you’re always making a profit. Having your orders and your inventory in one place also lets you see how many finished subscription boxes you can put together based on your component stock so you know you’re on track for your next shipment. 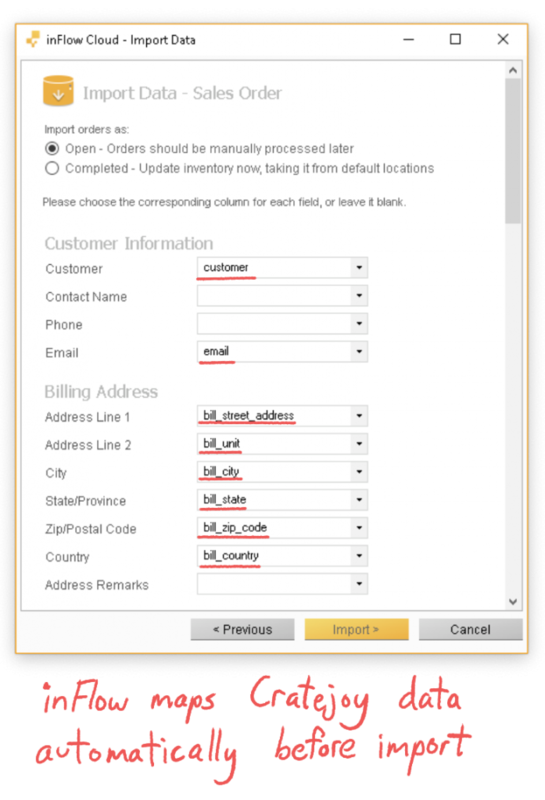 If you’d like to step up your inventory tracking for your Cratejoy business, the good news is that you can easily export Cratejoy sales data and import the resulting CSV files into inFlow Cloud. This means that you can use each service for what it does best: Cratejoy for handling and selling subscriptions and inFlow for managing your inventory and costs. As a plus, inFlow has an assisted import feature for handling exported CSV files from Cratejoy. Our team has mapped out all of the relevant fields — like customer, subscription ID, and products — so that inFlow will recognize if you’re importing a Cratejoy CSV file and assign all the correct fields automatically. If you’re looking to take the next step in inventory control at your subscription box business, inFlow can help!